As the first seconds of the powerful track "Luna" hit me I was certain that this would be a winner in the futurepop field. The music is extremely melodic and well produced. Unfortunately as soon as the vocals appeared this impression crumbled almost instantly. I simply don't appreciate them at all. The vox are weak, and the constant exhaling of air in some tracks is too dominating, making a more lasting impression than the lyrics themselves. It is a shame because this could have been really good. Synthesizers are put to good use, and there is a lot of catchy dark material here. It is hard to avoid the word "pretentious" when describing the style of Unitary's music. Reading the artist website you will learn that "The main idea behind Unitary is to create electronic tracks that appeal to the entire alternative audience. With impacting music and words, the aim is to capture the serious ambitions behind this project." 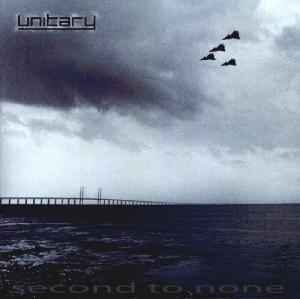 It also claims that "Unitary presents a new cultural approach to synth music." These are grand visions and ambitions, but so far they have not been realized.